Harrisburg, Pennsylvania, USA Taking the lead from their African and Latin American sisters who already have well-developed networks of women theologians, almost 50 North American women theologians met for the first time 22 July 2015 at the Farm Show complex in Harrisburg, Pennsylvania. 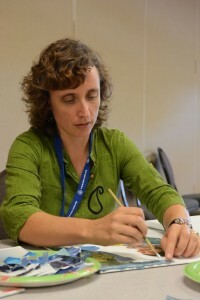 The meeting was spearheaded by Elie Soto, former moderator of Mennonite Church USA, who has been involved with the Latin American women theologians. Linda Gehman Peachy and Michelle Armster, also from Mennonite Church USA, and Mary Anne Isaak, pastor at River East Mennonite Brethren Church, Winnipeg, Canada, led the meeting. The diverse group of women in attendance introduced themselves. Reasons they gave for meeting included the importance of a collective voice, wanting to hear what other women are thinking, looking for a sacred community, the conviction that theology is not complete unless women’s voices are heard and the desire to connect with other women. Audrey Kanagy, a pastor in Lancaster, Pennsylvania, introduced an art project. She invited women to participate anytime throughout the assembly. The decoupage project called “Women in Conversation” has an interdependent and communal nature, says Kanagy. It welcomes contributors into a process where there is no right answer and the end product is not important. 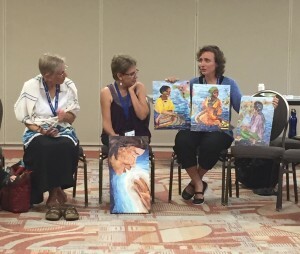 The women separated into smaller groups by discussion topics, including biblical understandings, engaging youth, sexuality, the global church and women in leadership. 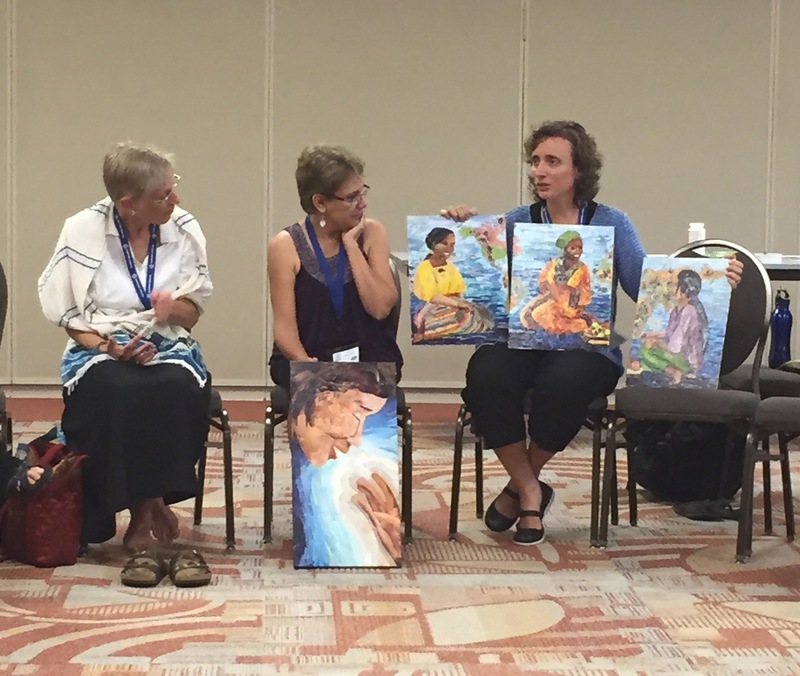 In preparation for an upcoming joint meeting with the other continental women theologians groups, participants also brainstormed potential activities for a Global Network of Women, and asked what such a network might offer to and request from Mennonite World Conference. Harriet Sider Bicksler is retired from a career as writer and editor. She continues to serve as editor for the Brethren in Christ Historical Society in the Harrisburg area.